Indian mindset: a permanent state of dependency, even despondency? How long we Indians would be under the British syndrome trap? Why don’t Indians learn to think independently? Why do we always look for outside opinion? Are we not dependent upon outside opinion to even understand ourselves? Why still the surveillance, servility of mind? What do we mean by syndrome? We mean a combination of opinions or a collective mindset. When it comes to India and we Indians seem to be still under the British-dominated opinions that we hold as a nation and people. We have to read our history; history in general in new light. Our education is highly imitative and superficial. Everything is commercialized and there is no sense of any originality. The 10th and the 12th school exams have become a big mental burden for the Indian youth. 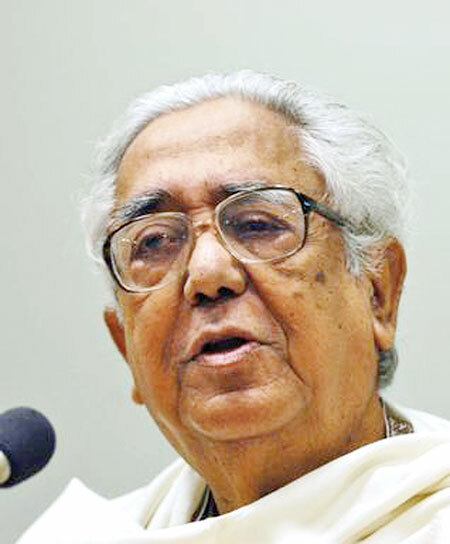 In a recent autobiography, the recently-passed Prof. Tapan Roy Chowdhury, a long-time professor of history at Oxford for over twenty years has left behind his views of India and Indians and also the British-Indian mindset as he had observed for so long. For Indian readers of this generation, I like to add some more additional information that might give more relevance to what I come to say. Prof. Chowdhury is also a contemporary of Amartya Sen, the Nobel Laureate who had written an introduction to the autobiography. Prof. Chowdhury was also very close to the famous author, Nirad Chaudhuri, the author of the famous autobiography, The Autobiography of an Unknown Indian which came out in 1951 and instantly established itself as a classic. He was an unabashed admirer of the British and the British rule in India. He wrote the English language, said some British critics when the book appeared, “better than Jawaharlal Nehru”! That was enough to make the book more famous! The point here is that most Indians who went to Oxford, there are several, from the old to the new generation, we learn from Tapan’s book; he devotes one full chapter on how the British academics tried to teach, I would say “brain-wash” the Indian students (this includes Manmohan Singh too!) that the British rule, the British empire was on the whole was good for Indians! When Manmohan Singh was given an honorary doctorate, the former Prime Minister said famously at the convocation that “all the best that is with Indians in governance etc. was owing to the British rule in India”! When he said this, many took offence! In fact, I too wrote an editorial condemning Dr.Singh. Soon after, Prof. Irfan Habib, the eminent Indian historian too wrote a stringent criticism for Dr.Singh’s rather pathetic words! Now too, there is still the same sort of serveillance, servitude and inferiority complex in the Indian minds when it comes to paying homage to the former rulers! I am sorry to say here some unpleasant historic truths. Even Mahatma Gandhi and Pandit Jawaharlal Nehru were old-fashioned when they fought the British. In the end they capitulated to the British tricks and in the end we got freedom only after partitioning the country! It is a bitter truth we have to digest even now! Even otherwise, we have remained an unthinking people ever since, right? Take our education, much of our interpretation of our own past, our culture and art and much else even in our capacity to think independent in matters like taking an independent stand on some leading intellectuals and intellectual opinions. James Mill, the father of the famed John Stuart Mill, wrote a multi volume history of India and this was prescribed for the British students who went to the Haileybury School which trained the British civilians who came to India as civil servants, the ICS! Mill wrote it without visiting India and he wrote by reading and hearing about what he learnt from others. All the prejudices and ignorance is there in the book. No single Indian student, academics and others who later became famous for one reason or the other, mostly for serving the British, of course, ever mentioned Mill or others like Macaulay and many others. As a result, even till this day, we Indians never dared to challenge the British prejudices be it culture, art or learning. Do the British have anything like the Indian sculptures, the South Indian bronzes or temples or books like Bhagwad Gita or Upanishads? Did we dare to raise such topics in our discourse with the British, academics or administrators? Coming to more serious issues, do we ever raise such issue like the long famines, disease, the hunger that caused millions of deaths and many agonies? So, in my humble opinion, this is my current view of the Indo-British encounter! Our education, I mean our education vision and policy measures are patchy, to say the least. It is unfortunate that our current education ministers are still more pathetic. They have taken up funny subjects like Charles Darwin’s theory and also the physics of Isaac Newton! What a pity! What we Indians need is a new awakening. We have to learn to embrace the world currents in knowledge seeking; much sciences and social sciences and humanities so that the modern generation in India must be able to use and speak the modern jargon of sciences and technology. Luckily, India has changed and is changing fast and so we should let the Indian people to derive all the benefits of modern day sciences, including the medical sciences. We have to combat the diseases that are still persisting among the people, more so among the poor and the vulnerable. Let India become a modern nation. Let our educational thoughts too become current and let us become on par with other big nations. India can contribute to intellectual debates and we must be partners in these adventurous times.